Now that spring has sprung and the warmer weather is approaching in New England, seniors are more willing to get outside and enjoy outdoor activities. Getting out of the house can feel overwhelming for some caregivers, but with a little planning ahead, it can be an enjoyable experience for both of you. Getting outdoors more often can boost your older adult’s emotional and physical well-being. Research has shown that seniors that get out of the house more often, may help them live longer. Being outside and keeping seniors engaged in the outside world gives them more opportunities for social interaction. 1. Questions to think about seniors needs and preferences in mind As a primary caregiver you’re the most familiar with your older adults likes, dislikes, preferences and comfort levels. Do they fatigue easy? Need a higher seat with arm rests to stand? Do they get overwhelmed in crowds? Do they have issues with hearing or vision that will impact their enjoyment? Are they able to navigate up and down stairs? Are they able to step up and down curbs? Do they have difficulty on uneven terrain? Are they able to get in and out of the vehicle? Plan a flexible schedule. When you’re out and about with an older adult stop breaks may come suddenly.Will you need a transport chair? Is there seating available? Plan a rest breaks ahead of time and count in extra time for unplanned stops. Taking rests helps keep your older adult from getting fatigued. Does the place get crowded when you are planning on going? Crowded spaces, loud noises, and lots of moving around will make seniors tired more quickly. Keep the atmosphere in mind as you plan the outing. How do they react to crowds or having to wait? How much help do they need in the bathroom? Are there handicap bathrooms? Will you need extra bathroom supplies? Is it a long walk to the entrance of where you are going? Will you need a transport chair? Will they need their walker or transport wheelchair if the distance is longer than they usually walk? 4. 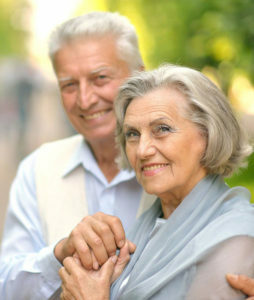 Often seniors find familiar activities more comforting and enjoyable. Going out for ice cream, sitting in the car near the beach to enjoy the view, sitting on a park bench, going for a ride and getting a drink at a drive through. 5. Think about indoor and outdoor temperature. The elderly are less able to adapt to change and their bodies take time to adjust.